In the sunny land of down under, we aren’t blessed with a white, frosty winter – but we’ll be damned if we don’t make the most of our 20 degree, “will I need a ski suit or just a tee?” weather. 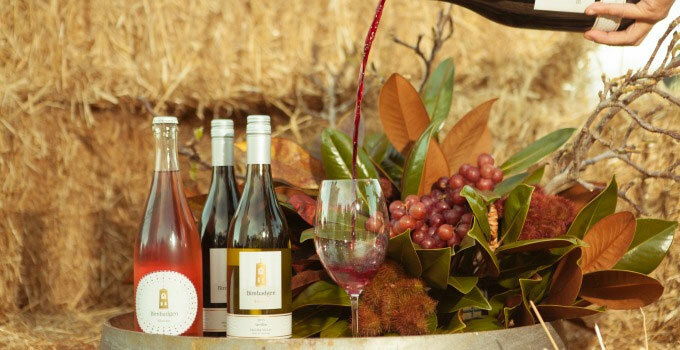 If you’re fortunate enough to be swanning around the Gold Coast this month, celebrate the season at Sanctuary Cove with the Winter Wine Festival. The annual festival is returning from the 27th – 29th July to grace us with bountiful drops from the finest wineries of Australia, New Zealand, Argentina, Italy, Spain, Chile and the USA. With a winter wine trail to explore, exclusive degustation dinners and luxury Intercontinental Sanctuary Cove Resort in the mix, we don’t need an excuse to turn this event into a gourmet getaway – and you can extend the celebrations at The Fireplace with their wine dinner on the 28th. Drink in the festival with Friday’s Winemaker’s Dinner, featuring the best champagne and wine paired with a hand-crafted six-course menu. Unlike our typical weekend, this wine appreciation event is curated by the pros and will take you through a collection of Australia’s best, including Mandala Yarra Valley and Howard Vineyard. There’s no place like the Marine Village Wine Trail, so click your heels and wander down the (not so) yellow brick road of award-winning restaurants on Saturday and Sunday to sample the best local and international wines on the market. Beginning at Ioesco Café Cucina, grab your tasting glass and wine vouchers and follow the path through the village to discover Semillon, Shiraz and Chardonnay – oh, my! Soak up your weekend with live tunes while you’re indulging in signature dishes and tasty eats from restaurants and food trucks, or head over to the Boardwalk to sample the brews from local breweries along the Promenade. Pack your bags, we’ve found our sanctuary. - The gourmand who's a tin man that just needs wine.